We're here to improve your life and love hearing how we have helped you! If you wish to share a few words about your experience, please send us an email and we will post it on our testimonial page. Thank you to all of you - without you, we couldn’t do what we love. "I have been seeing Dr. Shaw for a few weeks now and am blown away by the results and changes I have been seeing in my body, mind and soul. I have practiced and received many different types of body healing and services and I feel that Dr. Shaw is the missing link I was looking for. I am definitely grateful for his facilitation of healing and will be a long time client for sure! I recommend anyone needing any sort of body, mind and/or soul reset to give Dr. Shaw a call!" "We are blessed by the care and commitment expressed by Dr. Shaw. 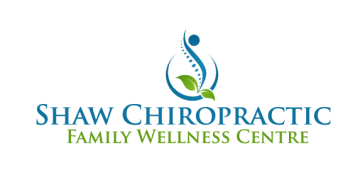 After 20+ years of pain from an auto accident, Dr. Shaw completely alleviated my pain through his devoted approach to chiropractic, whole person care. My health only continues to improve." "You have been a major part of my path to wellness. Your kind, gentle, and informative ways are second-to-none." "Thank you for sharing with us your gift of insight and healing." "Thank you for your kindness and your part in making my pregnancy manageable. I want you to know how much I appreciate your expertise and care that you put forth every time I come to see you." "You instinctively sought to make things better when I had no energy left to heal myself. You really were exceptionally caring, the way doctors should be but often are not." "I cannot thank you enough for the superb care and attention you have given me while I've been in your care. I shall miss seeing you and the sensitivity you bring to each session."